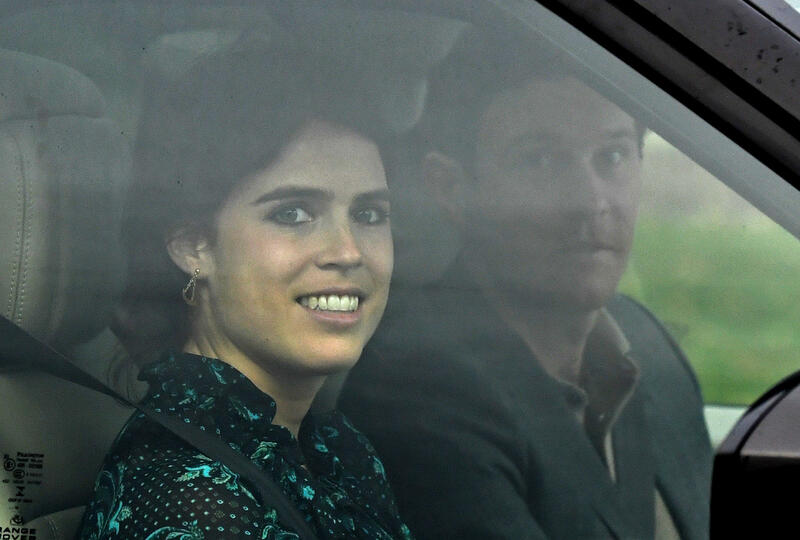 Buckingham Palace released new details Thursday about Princess Eugenie's upcoming wedding, including the Order of Service and the charities invited. The wedding is set to begin at 11 a.m. local time – 6 a.m. ET – Friday at St. George's Chapel at Windsor Castle, the same location as Prince Harry and Meghan's wedding in May. The Order of Service revealed Eugenie will not be vowing to obey her husband – something Harry and Meghan skipped as well. Eugenie and the groom, Jack Brooksbank, will be taking a carriage ride through the streets of Windsor. But there are some differences from Harry and Meghan's wedding. The Rev. David Connor, the dean of Windsor, will give the address, while American Bishop Michael Curry spoke at Harry and Meghan's wedding. In another difference, the prayers will be led by John Sentamu, the retiring Archbishop of York, while Archbishop Angaelos and The Reverend Prebendary Rose Hudson-Wilkin from the Nave led the prayers at Harry and Meghan's wedding. Additionally, Eugenie and Brooksbank will be skipping the Long Walk at Windsor. And Brooksbank will not be wearing a wedding band, while Harry wears one. Eugenie's sister, Princess Beatrice, will read a passage from "The Great Gatsby." Italian singer Andrea Bocelli will perform at the ceremony and so will musicians from the Royal Philharmonic Orchestra. Eugenie's father, Prince Andrew, is a patron of the Royal Philharmonic Orchestra. In an interview with British Vogue earlier this year, Eugenie said she is "anti-plastic" and aims for the wedding to be plastic-free. Buckingham Palace earlier released Prince George, 5, will be a page boy and Princess Charlotte, 3, will be a bridesmaid. Queen Elizabeth's other great-grandchildren Savannah Phillips, 7, Isla Phillips, 6, and Mia Tindall, 4, will also be bridesmaids. Prince Edward's children, Lady Louise Windsor, 14, and Viscount Severn, 10, will be special attendants. But this royal wedding brings up a "genuine debate" about Britain's royal family, said BBC News' Simon Bates. Prince Charles, first in line for the throne and Eugenie's uncle, has urged a "slimming down" of the family to its central core: That's the Queen and Prince Philip – both in their 90s, at the helm – Prince Charles and Camilla taking on more public duties, followed by the Duke and Duchess of Cambridge and the Duke and Duchess of Sussex.